Over the years, I’ve had multiple blog posts gain lots of traffic. A few even went “viral” and gained thousands of views in just a few hours. This experience has given me an opportunity to truly test and see what works and what doesn’t. 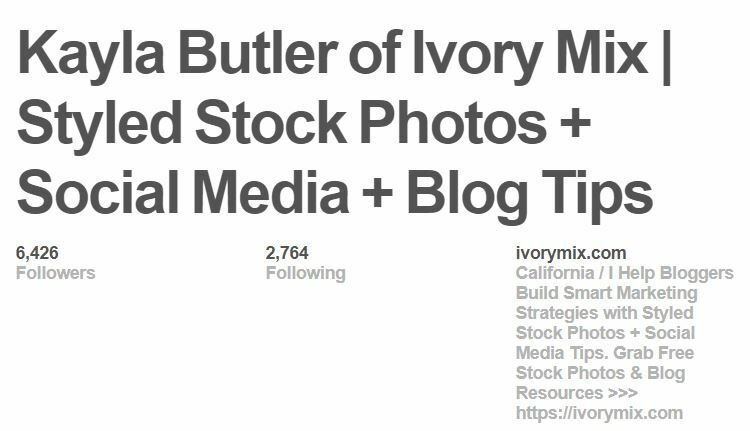 Like most other blogs, I use Pinterest as a marketing strategy for sharing my blog posts with new audiences. You can see in the chart above, that before January 2016, I was only getting some minor exposure from Pinterest. However, I truly started to see huge spikes in my traffic once I implemented a few key things I discuss in this blog post. What I found out was, besides using automation tools like Tailwind and Boardbooster, I also had to keyword-optimize my Pinterest account. This became extremely apparent as soon as my content started to reach the top of search results, as seen is this snapshot below. Along with the Pin scheduling and automation, these additional keyword optimizations provided my content with MUCH higher rankings in the Pinterest search algorithm, which got my tons more views and traffic. 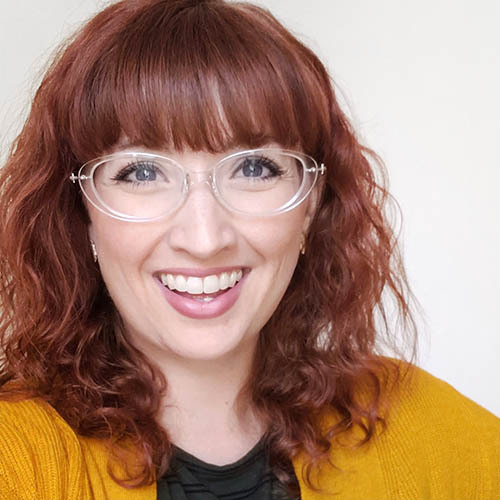 The fact that most bloggers don’t know to optimize their accounts ( or maybe they just don’t bother with it) makes it all that much more important to bloggers like you and myself. By optimizing your Pinterest account with keywords, your Pinterest marketing strategies will start to work much harder for you. To find the best keywords for your business, use the Pinterest search box. As soon as you start a search using your preferred keyword, the Pinterest Search bar will start to populate some suggested phrases (long-tailed keywords), just like you might see on Google. Long-tailed keywords can often be better than short keywords because it allows you to get more specific, helping your ideal audience find your content and pins on Pinterest. Once you have a good sampling of keywords and ideas, you’ll want to add your keywords to several of the following places. The following locations are best for optimizing your Pinterest profile. With your keywords ready to go, you’ll want to add them right after your name or blog name to help your audience identify who you are and what you do – instantly. You should also include keyword phrases in your bio as well. This will help Pinterest identify you as more of an authority on these topics, which may help you get found faster when your audience performs a search. How many times have you stumbled upon a board with a clever name that made you laugh, giggle, or smile? Although I’ve found those boards amusing too, this strategy isn’t nearly as effective as using your keywords for a simple board name. Remember, keywords help people find your boards, pins, and profile through search. Besides naming your boards using your keywords, you should also place those keywords inside of your board descriptions. 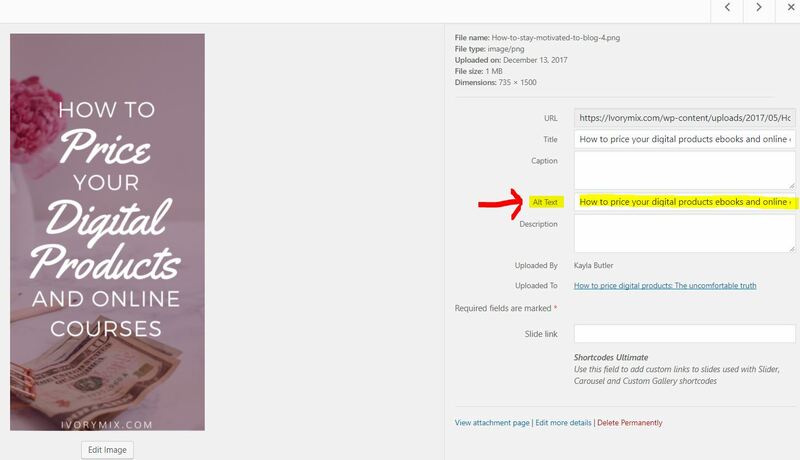 Leaving anything blank, where Pinterest allows for a caption or a description, will not help you get traffic. So, make sure you fill up those boards with your keywords and thoughtful descriptions. 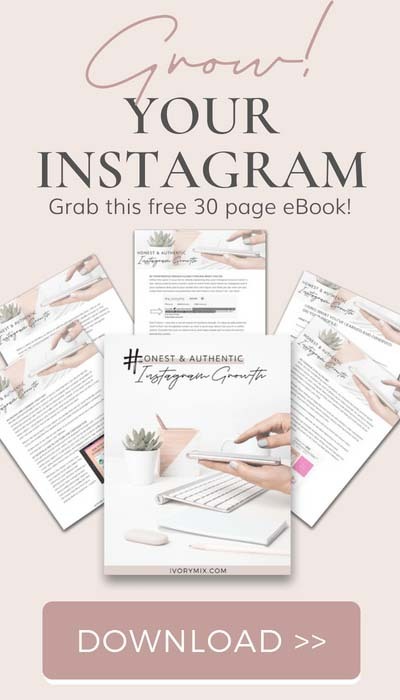 Since Pinterest pins only allow so much room for great descriptions on pins, your keyword phrases and best attempt at writing a thoughtful caption will work best. To give yourself much more of a competitive advantage, this strategy includes changing the names of your pin images to those same related keywords. Most bloggers should do this anyways, regardless of Pinterest. It will help your search engine ranking on Google and Pinterest. 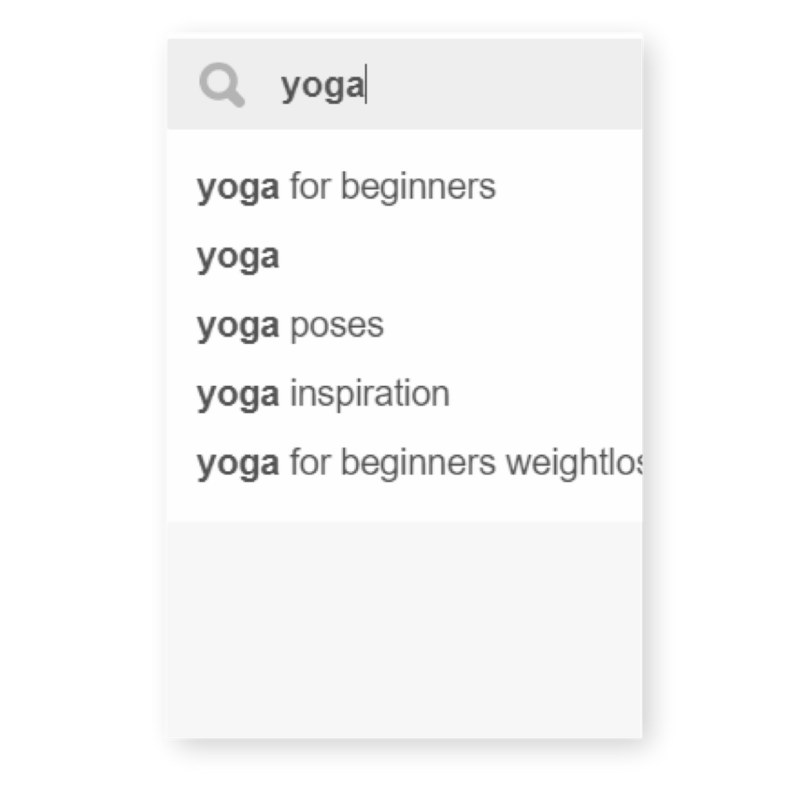 So, instead of using an image name like “image27.jpeg” – you’ll gain much more traction and traffic from Google and Pinterest if you use “Yoga-Poses.jpeg”. To do this on WordPress, you simply add an “Alt-Text” when you add the media to your library. Adding an Alt Text also helps the visually impaired have a better understanding of what your image contains. So, be thoughtful about the use of alt-text and don’t just stuff a bunch of keywords together. 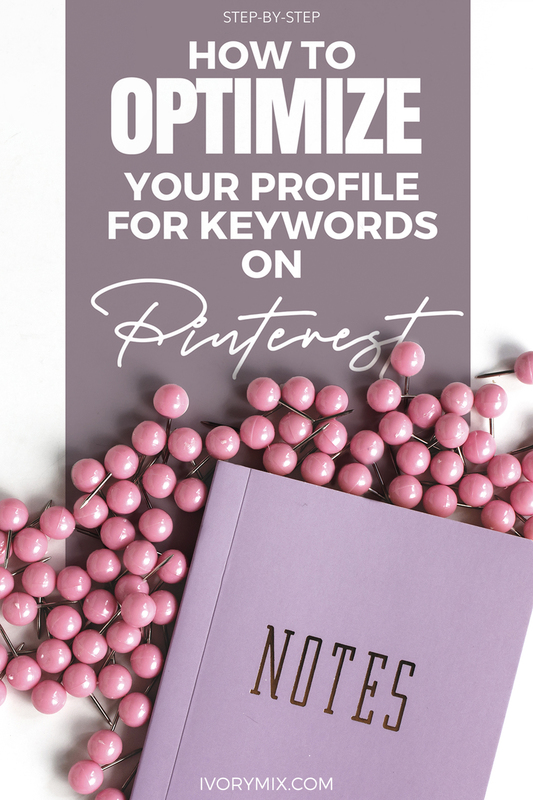 One thing you might not know is that by using the same keywords in your blog post headlines and inside of the body of your blog post, you can instantly boost your Pinterest optimization too. So, make sure you are matching all of the same keywords you use on your blog post as well as your pins on Pinterest. Earlier, I mentioned that I started automating and scheduling Pins as well as optimized my profile with Keywords. That’s because marketing 50 new pins on Pinterest EVER DAY is not as fun as it might sound. Implementing some form of automation or batch scheduling will not only improve your traffic, it will provide sanity. The good news is you can grab a free trial of both Boardbooster or Tailwind. 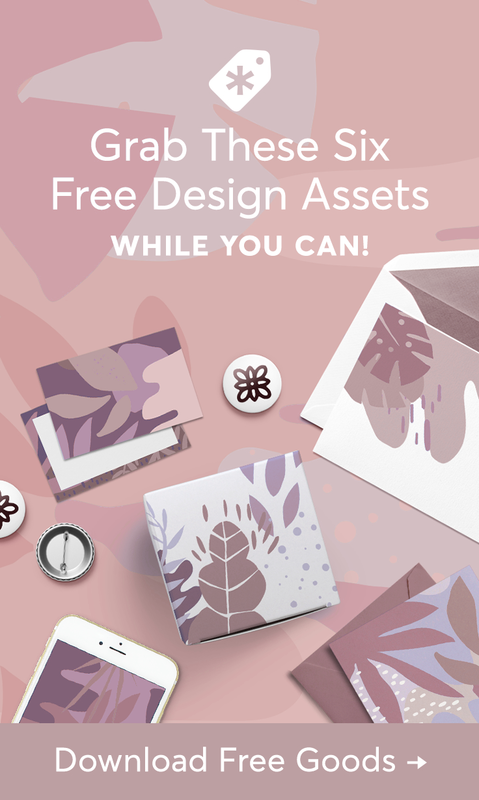 Click here to grab that free trail from Tailwind. If you’re wondering which one is better, you’ll have to really try them out for yourself. Both have their benefits. I find that I pin more in an automated fashion with Boardbooster and I can connect with other pinners and fresh content more frequently when I use Tailwind. 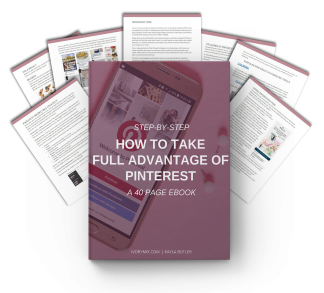 Truthfully, both tools help you manage all aspects of your Pinterest business account and also offer handy analytics options. 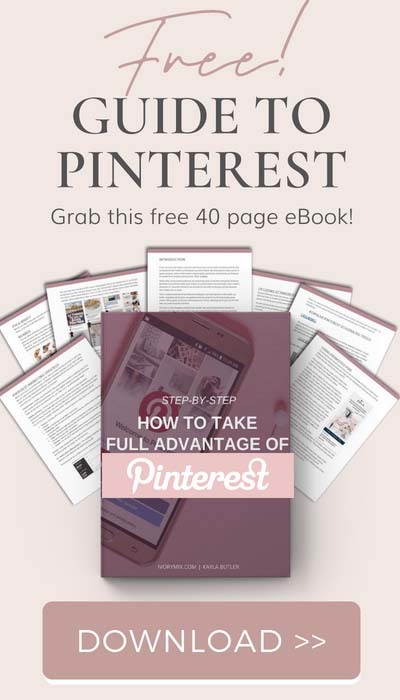 DOWNLOAD THe 40 PAGE PINTEREST STRATEGY BOOK NOWIf you’re wondering what to do next, then I’ve got a complete and comprehensive 40-page ebook containing way more tips and tricks you can use to grow your Pinterest Marketing strategy the right away!